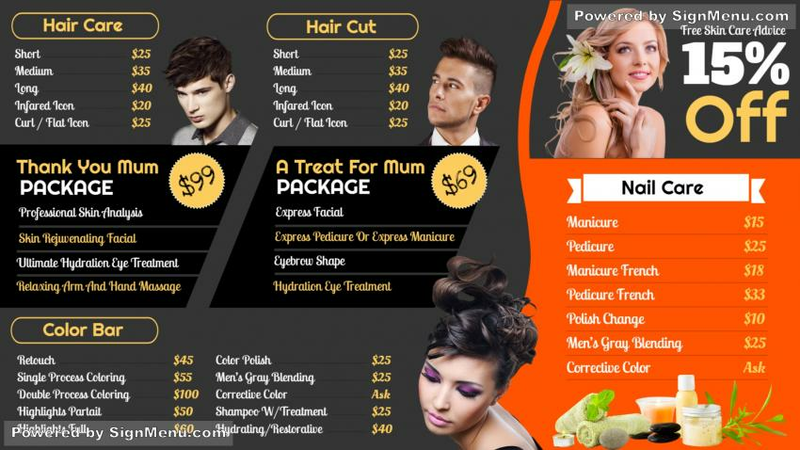 The super salon signage template offers the most organized display of all the services provided through a sophisticated color combination along with the packages mentioned clearly. The images on the template appear beautiful and handsome respectively along with the highlighted discount. Many such digital templates are available along with customization facility starting from $0-$599 for different subscription.